The way it always used to be! way, produced from all natural Ingredients. 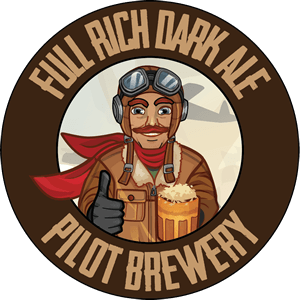 Like all good ideas Pilot Brewery came to be over a few beers after a big day flying. 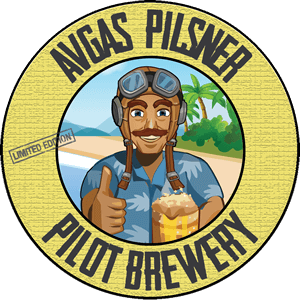 A group of 10 pilots sinking a few cold ones. Paul pipes up, "that's a lot of recycling to place at the gate on Monday, what are the neighbours going to think?" Then Dan adds, "what we need is to buy one of those automatic brewing kits". Dan's good with ideas, but tonight he's just not thinking. Why stop at 20 litres a fortnight, that's just not going to cut it. We need to think bigger. A few more beers and we have out 50 litres a day. That night not only have we begun a brewery we have already outgrown it and on to the second incarnation. Quite good for a nights work I'd say. 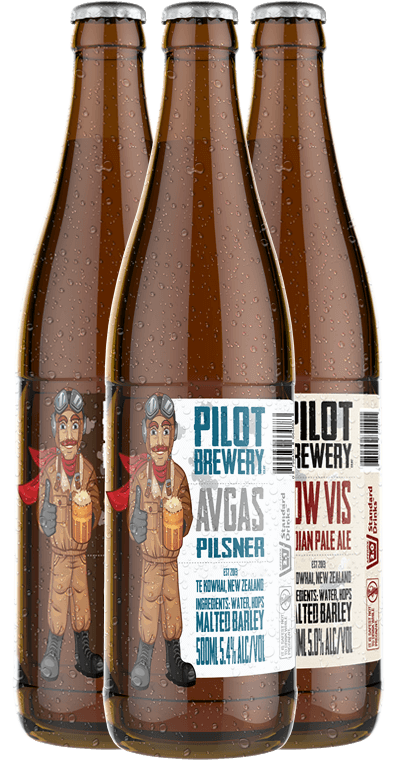 Avgas is a crisp, clean bohemian styled pilsner that has been aged at low temperatures to bring out the perfect balance of flavours. Low Vis IPA is our version of an pale Ale, made with all New Zealand hops for a more mild flavour. A traditional old dark recipe, ade with New Zealand hops, full and rich. Has an aroma of coffee and black malt. 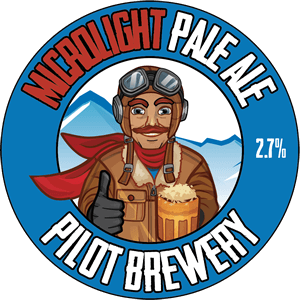 Microlight, clean Pale Ale that has been aged at low temperatures to bring out the perfect balance of flavours and low percentage. 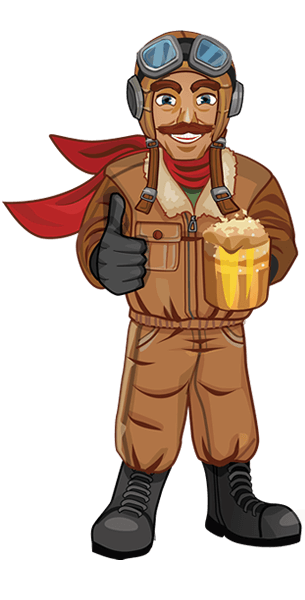 Mr Biggles started flying our beer around the country the first day we starting brewing beer - the way it used to be.